A Conversation between Jim Self and Archangel Uriel (speaking through Joan Walker). Uriel: Greetings. It is I, Uriel! As I have mentioned the last we met, these are very auspicious times that you are creating for yourself and for your students. Many things have occurred in the last 90 days. Many doors have been opened in your conscious awareness and in your ability to create, maintain and use the Living Light of Source of which you are a part. As these energies begin to integrate and be set in place and used more often, many anomalies are replaced. Some of them conscious; some of them unconscious. But make no mistake, life as you know it is changing dramatically. In this next class we are still hoping to set the stage energetically in such a way that will facilitate a more in-depth exploration of the first four chakras, which Master Kuthumi will conduct the teaching of. It is important that, in this initial integration, these Light frequencies are set properly so the foundation is created. The various components of the color radiations that we have discussed in the last few weeks can be utilized, as well as the Light frequencies and sound, to create changes within the physical as well as the non-physical and at a Soul level. It is at this Soul level that we are now placing our attention. As Master Kuthumi has so adeptly spoken of, what has been put into play now is not only the evolution, but the merging of the Soul with that aspect of Prime Creator that some call ‘Spirit’, and bring those two into a unit. Just as we have worked on the mental and emotional body, this portion requires some attention and some conscious awareness. 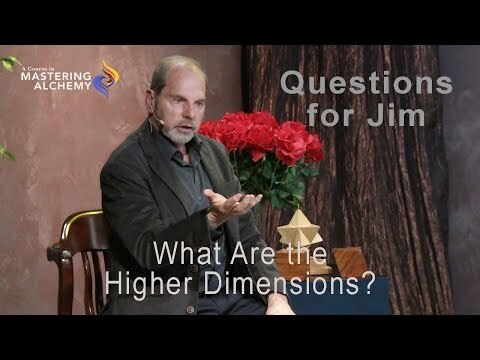 When you embodied in a physical body, within a dense realm, you are limited in your ability to access various dimensional levels of consciousness. Your Soul is also limited in its ability to be aware of the presence of the Prime Creator and the energetic components of that from which you and the Soul were created. Within that complexity there is an energetic template that was separated or fragmented at the time of the Fall of Consciousness. The complete Soul essence was not available. That Soul/Spirit merging was divided. By bringing in various energetic components, such as the Holy Spirit and the El Shaddai, you bring in part of the complexity of the Godhead or Prime Creator. They hold specific configurations that reflect that essence to the Soul, allowing the Soul to awaken to a different state of consciousness and an awareness of a more complex, multidimensional aspect of the Godhead. This is where we have been working. We have been laying the foundations for that Soul merging that we talked about a few years back but you had no real concept of what that merging was. It is not merging with the physical aspects of the body or the various realms of self. It is the merging with the God essence from which you were created and are. That can only be attained when certain energetic formats are first put into play into the consciousness; when the Soul allows the entering of that essence of the Godhead called the Holy Spirit and the El Shaddai. Then, when we place the Eye of Horus within the three centers within the head, those higher chakras and those gateways open to allow a different configuration of Light directly from the Godhead. All of these things have sequentially happened over the last year on your planet. But, this particular aspect that was put into play a few weeks back, the Eye of Horus, brought with it a very dynamic Light frequency pattern that the physical body and mental/emotional bodies benefit from. The Soul itself and that essence of the Godhead begins to come more fully into awareness and into a more unification. These things are foreign to the rational mind and to the body itself. It stands to reason that there will be some upheavals within the mental and emotional bodies until more integration takes place. Until more awareness begins to come into play and more time is spent utilizing that Living Light in a totally different format. This is a Light that you are not familiar with, nor have been familiar with, since the separation and the Fall of Consciousness when the Soul and Spirit were separated. What is happening now is we are merging all of you into one unit – one God essence – that is beyond your comprehension at this time. It is very real however and is taking place as we speak. Now, this said, I would like to engage you in an interactive conversation. Jim: In simple terms there are two actions going on at this moment and within these classes. The consciousness that I’m speaking from is merging with the Soul and that merging is becoming much more conscious to me. Simultaneously, there’s an interaction between the Soul and Spirit happening outside of my conscious awareness. Both actions are happening in such a way that, in a future moment we will become one full unit. Is this what I’m hearing you say? Uriel: You’re absolutely correct. When you embarked on this experiment with us your focus was on the physical and the changing of the molecular structure. That change was vital to bringing you to the state of being that you now find yourself in. It stands to reason, as the conscious awareness is raised and more of the Soul is present and takes precedence in the life experience, that some adjustments have to be made. The changes made are not only energetic but also physical, in order to accommodate the change of consciousness that provides the physical experience. You are involved in merging the mental and emotional bodies, merging with spiritual body and then focusing on the many aspects of Light and energetic formats that compose the vastness of you as an individualized expression of the Godhead. Therefore many things are changing at a very accelerated and rapid state. Even though it seems like this particular segment is going very slowly, in reality, it is moving at lightening speed. Uriel: It is important to allow these changes. Even though the consciousness can’t hold the vastness of what is transpiring at a Soul level, it can hold the changes that are transpiring more at a physical level in the mental and emotional bodies and in the chakra system. Just as that merging has to occur at a Soul level, those chakras must also be operating as a unit. They operate for specific applications and uses but they also operate energetically as a unit to allow the Soul to create the physical experience from the perspective of the fullness of that Soul/Spirit unit. This will dramatically change the way life is experienced and created. The reactionary state of third dimension is no longer available. When those reactions do come up, they are very out of alignment energetically with what has been created and they cause anxiety and dysfunction within the system. It is magnified because of the energetics that have now been created by you with us and put into play. Jim: Let me repeat that in a slightly different way. In the past, in that third dimensional space, I would have an event that would spawn a reaction, a charged emotion, and a verbal reaction would unconsciously flow from my mouth. 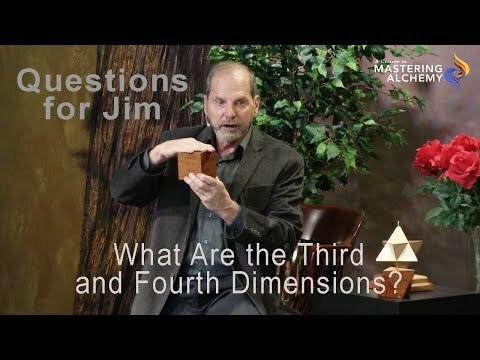 As that third dimensional human, I treated that event as simply the state of being. I was unconsciously accepting it as what life was. Now that accepted way of life is no longer even available to us. And when a reaction does comes up from an unconscious, point of reference still held within the physical form, it is now very uncomfortable. It’s uncomfortable because it’s no longer aligned with our way of life. It’s an anomaly that causes a ripple that is now conscious. The event is happening, but the uncomfortableness is from a completely different place. Uriel: Correct. It creates, as you have so aptly put it, a ripple in the system and the uncomfortableness of it is magnified in a way so it is not recreated continually That continuous ripple would bring you, or those participating in that ripple, back to a denser state of consciousness. Jim: Yes. So, the ripple was uncomfortable because I didn’t know any better and was just acting out. Now I have a smoother and more unified awareness and the ripple is the anomaly, whereas before, the ripple was a way of life. Uriel: Correct. It is these subtleties that come to the surface to show you very explicitly what state of consciousness you are in and where the energetics are playing out. These subtleties show you whether they are in resonance with the Light formatting that you have encoded within your mental, emotional and physical bodies, as well as at a Soul level. Those things will happen primarily because not all beings embodied in your reality are of the same state of consciousness or the same energetic configuration at a physical or at a Soul level. You will constantly be bumping into various energetic states that are being created in your life experience. They aren’t necessarily of your creation. They are just realities that are being created and played out simultaneously --- along and beside the reality you are creating. This will continue for some time; until more souls begin to reawaken to levels that are compatible. Uriel: When more souls begin to reawaken to levels that are compatible in consciousness, that compatibility begins to resonate in the entire system of the physical realm. Then more changes happen very quickly that will substantiate and hold that compatibility more firmly in place. You won’t have the various states playing out. It becomes more unified in its expression. Until that can take place, it is important that you understand what is playing out and what is happening within your own physical body, the mental/emotional bodies and with yourself at a Soul level. It is important that you continue to build the Light frequencies that hold that state of consciousness more firmly in play. Continue to work with the spin and the sound formulas, the presence of the Holy Spirit, and the Color Codes and radiations. These things are essential to maintain a state of being that is very centered and very complete and unified. Then these disturbances, as they come up, can be short-circuited and changed. Even though some of these reactive things occur, they can be short-circuited in a very quick way by just observing and not reacting. This reactive state will continue until the integration has been completed and more work has been done with these various frequencies, and when modalities of energetic components are more integrated within the system. It is important that attention be placed on these energies that are available now to you at a physical level and a Soul level. All of these things will then change quickly and with ease. Turmoil, at this stage, is not conducive to creating a stable formatting of the new merging that is occurring now. Jim: Yes, I can see that. It’s important to recognize that the anomaly is an experience that is out of place within a smoother, more unified consciousness. It’s not a state of reaction that you are trying to work out of. Understanding that concept is going to accelerate everything that we are about to do with the Soul and the merging. Uriel: Correct. Now, there are some pieces and parts that still play out. They are in the memory of the physical, which is dense at the cellular level. It is not something that you intentionally create or is your now life experience. That memory is not totally dissipated out of the cellular and the molecular level of the physical body nor the physical realm. So, you will still have those events. Jim: Yes. And then with the color and the radiation of that second Ray that will accelerate the smoothing out and elimination of much of that memory pattern. Uriel: Correct. As you work with this material, and expand these concepts, and these energetics, that wonderful merging is taking place at a Soul level. It is magnified in all of Creation and becomes usable in all of Creation at various levels, in various domains. This gives you a much broader perspective of Creation, wouldn’t you say? Uriel: Even though it may seem as if nothing is occurring, much is occurring. We would like to take one more week in the teaching to allow more of this integration from a Soul perspective to occur before we get back into the physical aspect of these changes from a perspective of the chakra system. I will also ask that I take a little time in the next session to encourage the students to awaken their conscious awareness of that part of themselves they consider the Soul, so that knowing can be really anchored in place. If there are no further questions, I will withdraw now. Ok interesting...When I work on my chakras I have 3 spheres within my head or brain would be more accurate I guess...a masculine sphere, a feminine sphere & a lower sphere that holds memory of physical past with all the hormones & chemical secretions that react to that. My pineal gland or Eye of Horus as you call it from a god perspective sits right in the centre where these 3 overlapping spheres unite. It connects to a higher more loving frequency when all 3 are synchronized in harmonic thought & emotion. Any separation seems to effect the emotional level then the body & over time creates disease or accident. Feeling emotion instead of controlling it leads to harmonic balance.